You are here: Home » A Moving Personal Easter Story … and a great, family Easter resource! A Moving Personal Easter Story … and a great, family Easter resource! Typography design by Charity Klicka. Every year as Easter draws near, my husband and I would teach our children about Christ’s life, death, and resurrection. We would read Easter stories throughout the weeks leading up to Resurrection Sunday, and would spend time each morning and evening reading the biblical account, singing Easter hymns and worship songs, and praying together as a family. We have always felt that Easter Sunday is the most significant event in the history of mankind, for it is the resurrection of Jesus that sets Christianity apart from every other religion in the world. It is Christ’s atoning death and bodily resurrection from the dead (and triumph over sin and the grave) that give us life, hope, and a promise of a glorious future with God if we believe in His Son. One year, God wanted to show our family his amazing power over death … in our own personal Easter story. Tracy’s neighbor, David, with his three boys, Jacob, Andrew, and Matthew; taken by Tracy Klicka MacKillop. After work, Chris took our son Jesse out for a canoe ride on the lake. Paddling near the shore, they spotted a soccer ball floating on the surface and picked it up, wondering who it belonged to. About a minute later, they saw a man and his son run down to the shore looking for the lost ball. After striking up a friendly conversation, Chris learned that this neighbor a few doors down had recently lost his wife in a car accident, and David was now raising three young boys—the oldest only six—all by himself. Moved to reach out in friendship to this man, Chris invited him and his boys over and said he would be praying for him. He also told him about our being a homeschooling family. Several weeks went by when our neighbor called Chris, eager to interview him about homeschooling; David had gone back to college to get a teaching degree after his wife died and had to write a paper about alternative education. That interview opened a door to a friendship which would prove invaluable just a few weeks later. While teaching my children one afternoon mid-March, our mommy’s helper, Jodi, ran out to get the mail in our mailbox across the street. As she was crossing the street she heard loud yelling and assumed it was nearby children playing outside. It wasn’t until she got to the mailbox that she saw two bodies lying in the road a hundred feet away. It was our neighbor David, lying in the street yelling and wailing next to his six-year-old son, who lie unconscious with blood pouring from his ears, eyes, nose, and mouth. Jacob had been hit while crossing the street when, he too, had gone to get the mail, and didn’t see the approaching car. Jodi came running back in the house, hysterical and hyperventilating. She barely managed to tell me what happened, whereupon I immediately ran to where David and Jacob were, eager to help. He wanted people to pray. Resurrection Witness by Doug Powell; taken by Tracy Klicka MacKillop. God is so tender-hearted toward those who are utterly broken, and we tried to reflect God’s tender heart to David by watching his two younger boys for a week since he refused to leave the hospital. In addition, we stopped by the hospital every day, gave David a Bible, and wrote personal notes with encouraging verses about God—He is our help, strength, and tower of refuge! Finally, we prayed constantly for God to work a miracle and save Jacob’s life. Jacob was bleeding in his brain, had to be placed in an induced coma, and was kept in a soundproof, 59-degree room with a shunt in his skull. David was not allowed to speak to or touch his son…the doctors wanted virtually no brain activity on Jacob’s part, in an effort to prevent the slightest amount of swelling. Two weeks went by and Jacob remained in a coma. No one, including doctors, knew if he would live or die. As Chris and I saw David’s heart softening toward the Lord, we kept asking God for a miracle for Jacob. Graphic design by Charity Klicka. Arriving home, David called us to share the unbelievably good news that Jacob had awoken from his coma! He, too, was raised back to life on Easter Sunday by the resurrecting power of our Almighty God! Over the next several months, Jacob had reparative surgeries and much physical therapy, but God was clearly at work bringing full healing to this young boy who very nearly died. We had all witnessed a miracle, just like the disciples of Jesus had. The power of Christ’s resurrection is real. Share it with your children. You don’t need a story like ours to believe; I do have an excellent resource to recommend in teaching your children about the resurrection of Jesus. 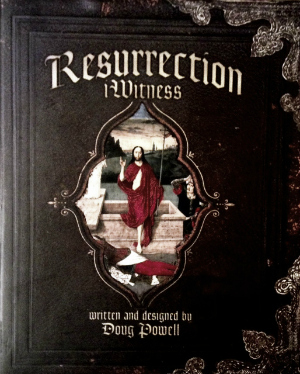 It’s called, Resurrection Witness, by Doug Powell (BH Publishing Group). Resurrection Witness is visually appealing for all ages, and is filled with historical truths presented in an engaging, hands-on format your whole family will enjoy. 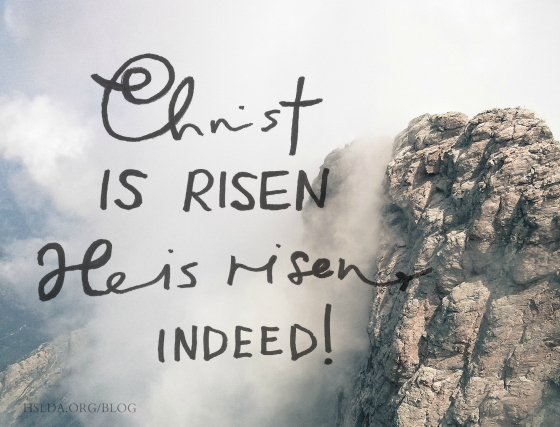 Christ is risen…He is risen, indeed! ← Poetry Contest? You Can! You Can!